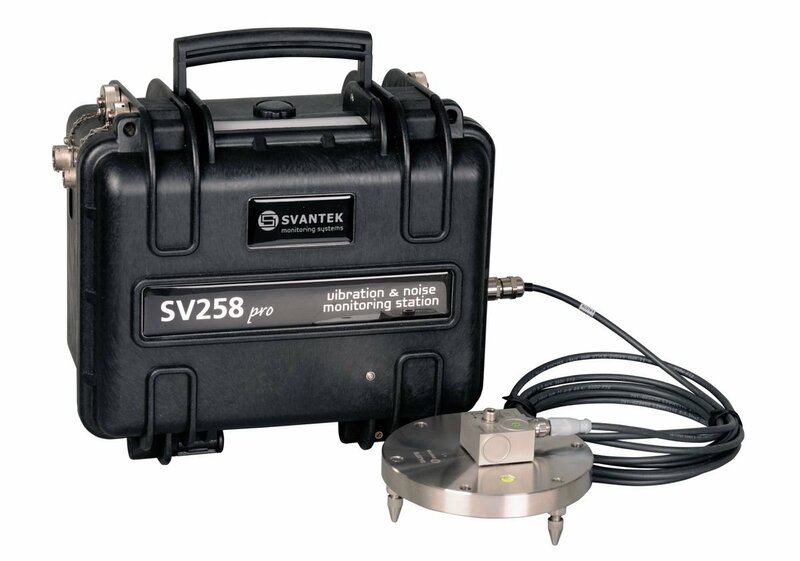 The new SV 258 PRO is dedicated for building vibration measurement that use methods based on Peak Particle Velocity and Dominant Frequency. 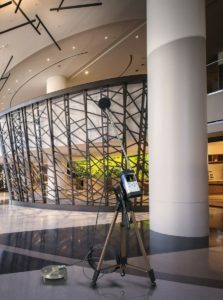 The measurement of human vibration in buildings is possible as the program allows simultaneous measurement of velocity and acceleration of vibrations with two independent steps of recording. 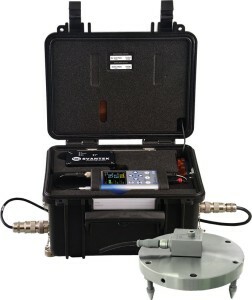 In addition, it is possible to enrich the measurement with Class 1 sound results. Users can use predefined settings compatible with commonly used standards such as DIN 4150-3 or BS 7385-2 or configure a criterion curve based on FFT or 1/3 Octave analysis in accordance with local standards. The vibration time history in the form of WAV is stored for all three channels and is used for verification of vibration sources. Accurate post-analysis of the frequency content of the signal is available in the SvanPC ++ program. 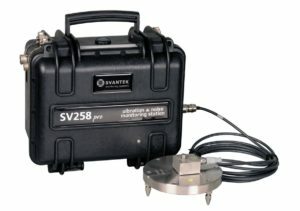 The built-in GSM modem transmits measurement data to the SvanNET server where the user has access to current data, files with historical data and can also generate a measurement report. The system generates SMS and Email notifications as well as visual and audible alarms (optional alarm lamp). In addition to simple triggers from PPV or LEQ values, the you can configure alarms from standard curves (e.g. DIN 4150-3) or custom curves based on FFT or 1/3 octaves. It is possible to move the criterion curve up or down the scale so that the alarm is generated earlier or later. The time and value of the alarm are saved together to the memory of the meter. 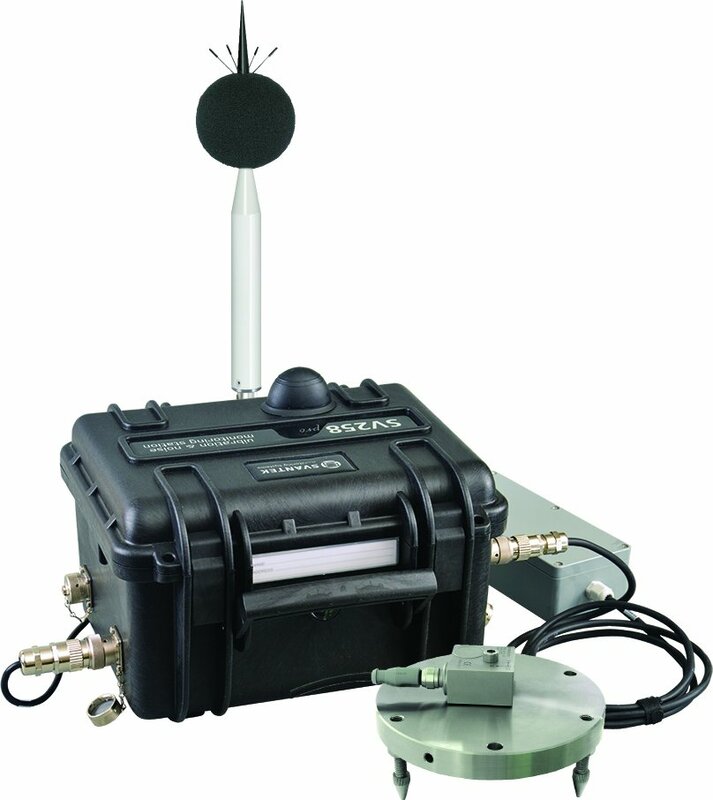 SV 258 PRO is an outdoor monitoring system based on SVAN 958A Class 1 sound level meter. 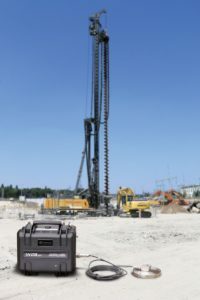 The portable and battery powered station can be used for a variety of monitoring applications including construction site monitoring, tunnelling and blasting. The IP 65-rated case contains a lead-acid battery which operating time can be easily extended by connecting an external battery or small solar panel. The intelligent charging unit enables use of a solar panel without expensive controllers and heavy batteries. 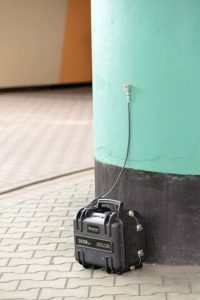 The case is fitted with very robust, waterproof connectors (military standard) and comes with an IP 65 external power supply. The system uses a low-noise, hermetically sealed tri-axial piezoelectric accelerometer enabling the outdoor use without additional enclosures. The accelerometers’ signal ground is insulated from the mounting surface and outer case to prevent ground loops. All accessories fit conveniently into a second carrying case. 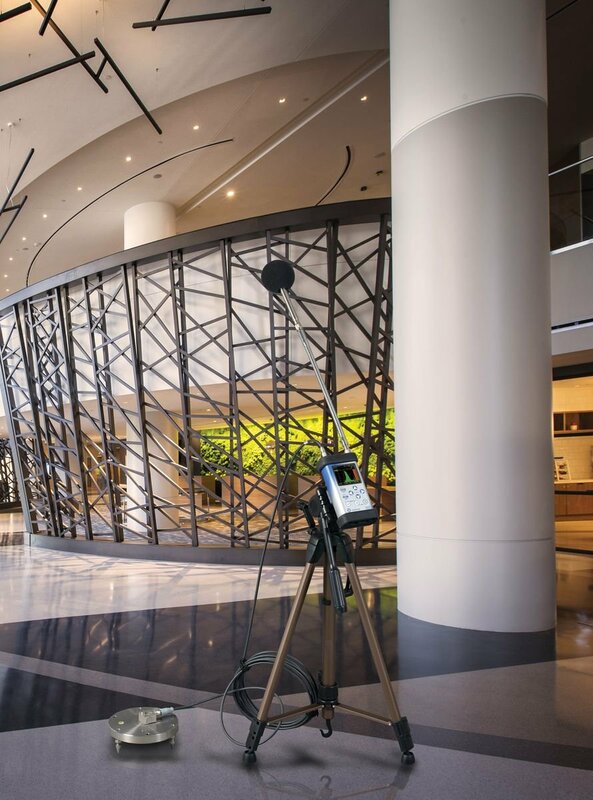 Human vibration in buildings in accordance to ISO 2631-1, BS 6472 and DIN 4150-2.